Amalophyllon is a genus of generally small, low-growing herbs with scaly rhizomes. Distributed throughout Central America and in western South America in the Andes, it is often found growing in moist, humid environments near the mouths of caves, or beside streams and rivers. A number of species previously classified in the genus Phinaea have recently been transferred to Amalophyllon. 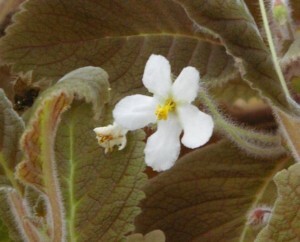 This genus is becoming more widely grown by hobbyists, as the foliage and small white flowers are attractive. It is fairly easy to grow in moderately protected environments.